Chores is often such an unpalatable word. It seems it’s something people love to put off if they can. But for gardeners, doing chores outdoors is often delightful because it means well-spent time outside, leading to future enjoyment in the garden during the other seasons, especially during harvest. Tackle all the shotweed, a.k.a. 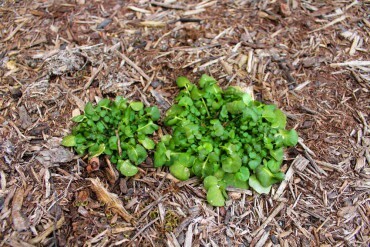 bittercress weeds, now while they’re easily pulled up thanks to the winter rains. Turn under all the cover crops in vegetable gardens and a week or so later loosen up the soil again. This serves two purposes — composting on site and also exposing any slug eggs to hungry birds that will swoop in to gobble up the eggs. Join the Heronswood team on the second Wednesday and fourth Saturday of each month for satisfying work, fun and learning. Each “Weed, Walk and Talk” begins with work in the garden under the guidance of Heronswood co-founder and garden director Dan Hinkley or another avid plantsperson. Volunteers should bring their own gloves, a brown bag lunch and a favorite hand tool to help with the gardening project of the day. Lunch is followed by a tour of the garden and an informational talk. The event is free to anyone who can donate a few hours of their time to work in the garden. Those wanting to join for just the walk and “talk” portions of the program are asked for a $40 donation to benefit restoration efforts. “Weed, Walk and Talk” events run from 9 a.m. to 3 p.m. The staff says to arrive as close to 9 a.m. as is convenient for you. I wrote a piece about slugs for WestSound Home and Garden back in 2007. It’s time again to mention these slimy beasties. Watch out for them while out in your garden this spring. Here are a few updated tips and tidbits for living with them. Slugs can live from one to six years. Their eggs are less than one-fourth-inch in diameter and resemble fertilizer beads. Eggs are laid in clutches of three to 50; some species lay as many as 500 per year. A slug’s mouth has a tongue-like organ, called a radula, covered with up to 27,000 teeth. This mucous-covered mollusk is distantly related to oysters and squid. Slugs moved onto land, developing a lung. The hole on their right side functions like a nose bringing in air. Banana slugs are good slugs and you want to cherish them in the woodlands and gardens. If you find any, please try not to kill them. Nudge them back into the woods. According to wildlife biologist Klaus Richter, the pesky brown, black, grayish nonnative slugs “are annuals like our annual plants. They die in the winter. Only their eggs survive. 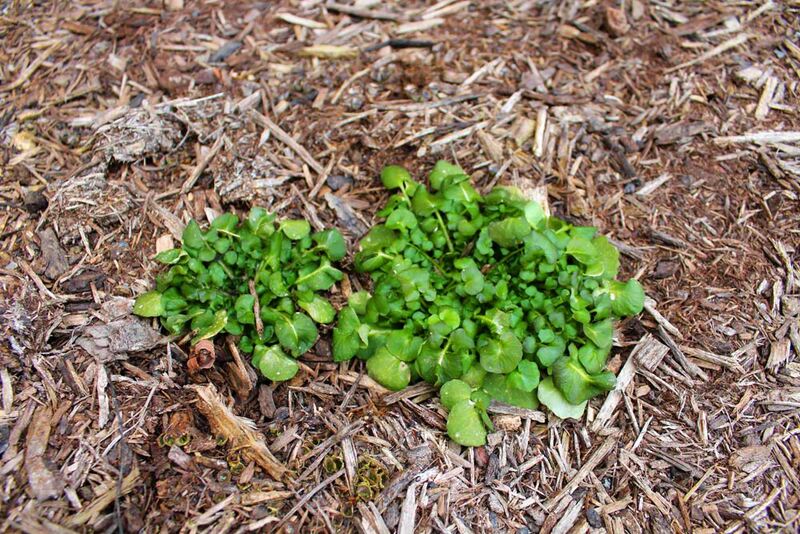 You won’t want to bait for slugs until a problem occurs.” Then when you find munchings, eradicate the slugs with an environmentally friendly product or method. 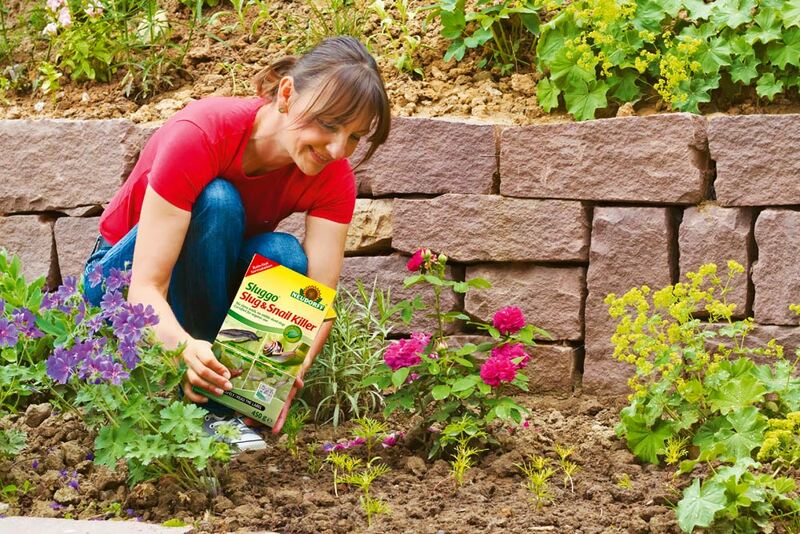 Conscientious gardeners avoid baits with metaldehyde, which can lead to nervous system damage or death in humans and animals. Slugs feeding on these baits become dehydrated but they can rehydrate when it rains so you’re not really killing many of them. Read every bit of the labels for baits containing this chemical, including the hazards section, before deciding to purchase these baits. If you have any metaldehyde products left over in garages or sheds, take them to the Kitsap County hazardous waste site for disposal. A more satisfying and efficient product, out on the market for several years, is iron phosphate, commercially sold as “Worry Free” and “Sluggo.” Other products become available yearly containing iron phosphate. It will not harm plants, humans, other critters or furry pets. Iron phosphate also works as a fertilizer. It can be a bit pricy but a little bit goes a long way. Use iron phosphate around your prized plants and then let the slugs munch judiciously on other plants. Determine your own tolerance level for slugs. 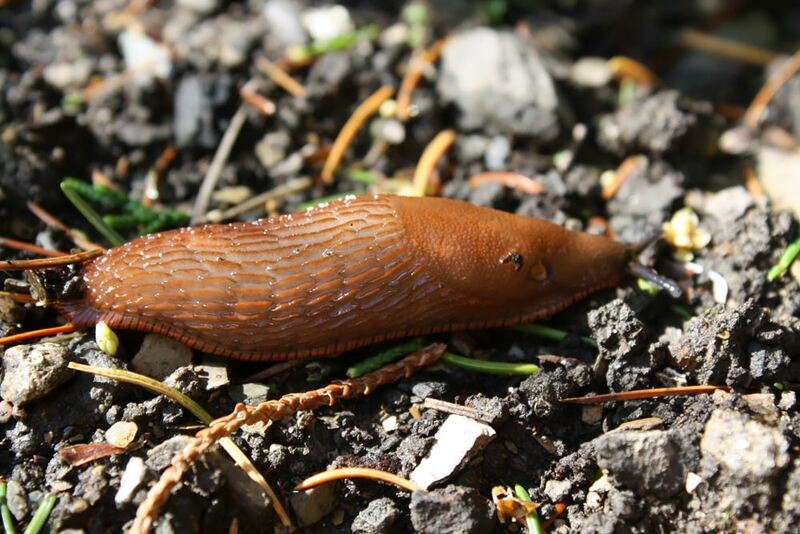 A cost-free way to control slugs is to turn over the soil in March/April, when slug eggs hatch out in spring, and in and September/October, when slugs lay more eggs to overwinter. By exposing the slug eggs to hungry birds and beetles, you are letting nature control slug populations rather than having to resort to any chemicals or concoctions. Please don’t use salt or ammonia to kill slugs. There are too many slugs for this method to be useful. 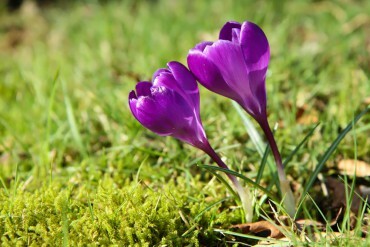 An abundance of salt or ammonia is not good for your plants. Sharon Collman, WSU extension educator (now in Snohomish County), is a slug and insect expert. When she explains how slugs will literally turn themselves inside out writhing in pain from salt exposure, it changes many gardeners’ minds about using this method ever again. Many gardeners do take perverse pleasure in the “slice and dice” method of slug control. Go out early in the morning and evening to find slugs. Slice and dice, using a knife, clippers or scissors. Slug family members will come and cannibalize the carcasses. (Yuck!) Several gardeners strategically place flower pots turned upside down around choice plants. Early morning and evening, they upend the pots, harvest the slugs and dump the slugs in soapy water to melt them. Alas, the gardeners didn’t explain what to do with the slug gunked soapy water. Perhaps you’ll avoid this method too. Another way to reduce slug damage is eliminating their hiding places. Cut back all overgrown grassy and weedy areas near your vegetable or flower gardens. 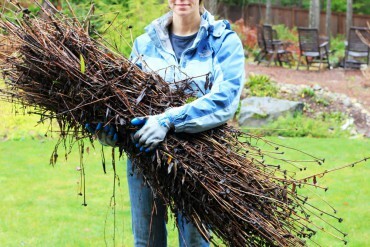 Pick up and compost all rotting garden debris. Plant extra flowers and vegetables so you’ll have some left to enjoy. Believe it or not, there are quite a few plants slugs don’t even nibble: herbs, scented plants, evergreen plants, prickly plants. Ask your gardening friends and nursery staff to recommend plants ignored or avoided by slugs. Sluggo works on snails too. This area is getting more and more dry land snails. These pesky critters hitchhiked in on nursery stock. Use the same methods of control as you would with slugs. When purchasing new plants for your garden, look for snails and slugs on the bottom and rim of the containers. Scrape them off and leave them behind. Avoid bringing them home to visit.